From Bars to Fine Dining to Quick Service establishments, PixelPoint adapts to your hospitality business needs. 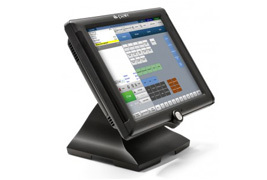 PAR PixelPoint POS (point of sale) software is designed for use in any and all hospitality concepts, and is configurable to meet your specific environment and requirements, rather than forcing you to change your current processes. With PixelPoint POS software, managing hospitality operations is even easier with more choices and advanced capabilities to better run your business. Improve order speed, customer service and sales as PAR PixelPoint offers robust features in an easy to implement and easy to use POS solution. PAR has more than 30 years’ experience in the hospitality POS business and more than 50,000 installations in 110 countries worldwide. Leveraging its rich technology and industry expertise, PAR has designed its PixelPoint software to meet the changing needs of hospitality operators. PAR developed PixelPoint based on four core principles: adaptability, modularity, scalability and usability. PixelPoint is quick to configure, fast to implement and easy to use. Contact us to speak with one of our experienced consultants about your requirements or to find out more about the CBE and PAR PixelPoint Solution.